There are many types of superpower– ranging from super strength to mind control. With such a wealth of fictional capabilities available, why should Superheroes be limited by their ability to hear? Deaf people can do everything hearing people can do, they just might do it in a different way… This includes fighting super-villains! Recently, Marvel Comic writer Matt Fraction decided to incorporate deafness into his panels by using illustrated sign language. In the comic book, Hawkeye, who is featured in the popular Avengers movies, becomes deaf and must use ASL to communicate. This was a revival of an older plot from the series, where Hawkeye loses most of his hearing and uses a hearing aid. For deaf children and comic book fans, this pop culture representation is affirming. By illustrating a popular character like Hawkeye as differently abled, yet still powerful, Marvel Comics is sending the message that superheroes come from all walks of life! 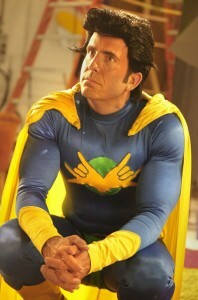 There are a handful of other Deaf superheroes, as well. 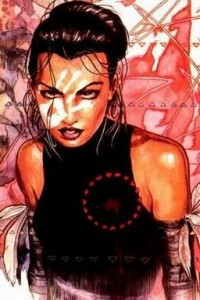 Echo (also known as Ronin) is a deaf woman who is able to perfectly replicate other people’s actions. Because she is deaf, she pays acute attention to visual details, allowing her to learn new abilities simply by watching another person perform the task. This is a great representation of deafness, and the way her supposed “disability” works to her advantage! 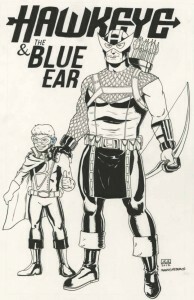 Another superhero, Blue Ear, was created by Marvel Comics in response to one little boy’s complaint that superheroes don’t use hearing aids. To demonstrate to the young boy that superheroes can be differently abled, Marvel created a Deaf awareness poster featuring the new superhero Blue Ear, who proudly wears a blue hearing aid. 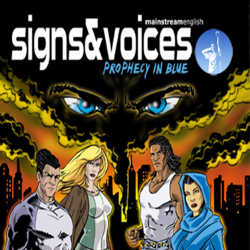 Signs and Voices is a British comic book created by Deaf individuals. The 4 superheroes in the comic are all Deaf, and use British Sign Language to communicate. According to the Signs and Voices website, “through the promotion of these positive role models, this project will help our readers relate to and learn about social integration, and raise the aspirations of Deaf young people.” The comic is available in two versions of English, so even those with limited reading abilities are able to enjoy the stories. Having Deaf role models, whether they are real or fictional, has a powerful influence on Deaf youth. This concept is addressed in John Maucere’s film “No Ordinary Hero: The Superdeafy Movie.” The plot of the movie centers around a TV superhero named Superdeafy. In the film, Superdeafy discovers how influential his TV character is for Deaf young people, and the actor who plays Superdeafy is inspired to become a real life hero. “No Ordinary Hero” is the first feature film with a Deaf director and Deaf producers, and it stars a number of renowned Deaf actors, including Marlee Matlin. 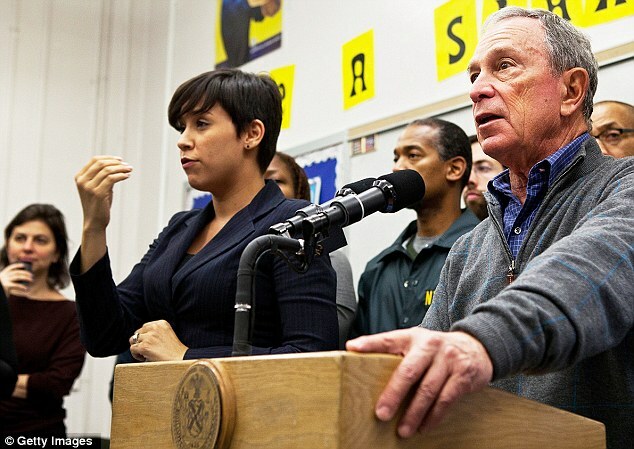 The film focuses on the importance of Deaf role models for kids, and how powerful it can be for young people to see heroes who exhibit different strengths and skills. Superheroes have long captivated the American imagination; appearing in all forms of popular media. Superheroes have unusual abilities, they acquire their powers from a wide variety of incidents, and a common theme is overcoming adversity to save the day. So really, if you think about it… we live in a culture fascinated with differently abled people! With new superhero movies coming out all the time, it would be an innovative twist for writers to embrace unique perspectives. Perhaps in the near future we will see Hollywood and the comic book world showcase diversity by including some more Deaf characters in their popular franchises!